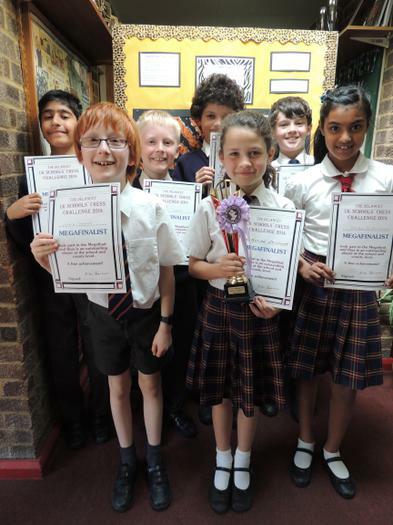 Seven of our children competed at the Buckinghamshire ‘Megafinal’ stage of the UK Chess Challenge on Saturday 17th May. During the course of the day they each played 6 games against children from Buckinghamshire of the same age. Well done to: Katherine (Year 3), Sebastian and Jonnie (year 5) and Madhu, Chris, Shae and Jack (year 6). All the children performed very well against tough competition and it is a pleasure to announce that Katherine and Jack qualified to compete at the next level of this national competition – the Southern ‘Gigafinal’. Katherine is also now the under 8 girls’ chess champion for Buckinghamshire. Well done to all the chess players for their superb efforts on Saturday.